Put your feet up! Revel in the luxury of one of our most comfortable reclining chairs. With a choice of catch or handle release the super smooth action enables a seemingly infinite number of recline positions to be reached with only the slightest of bodyweight movements. 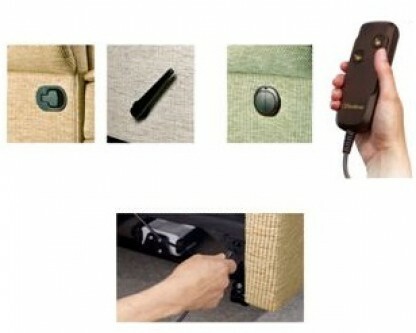 Using either the powered switch or the handset provides effortless reclining comfort. An optional rechargeable power unit offers all the advantages of powered control without the need to leave a cablerunning from the recliner to the wall socket. 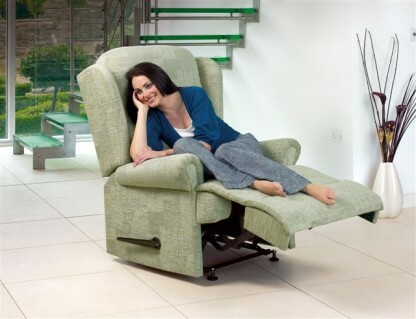 All maual and powered reclining chairs can be fully reclined from a starting position only 10cm from the wall. For solid flooring you can choose gliders as an alternative to castors on all reclining chairs and most other models.